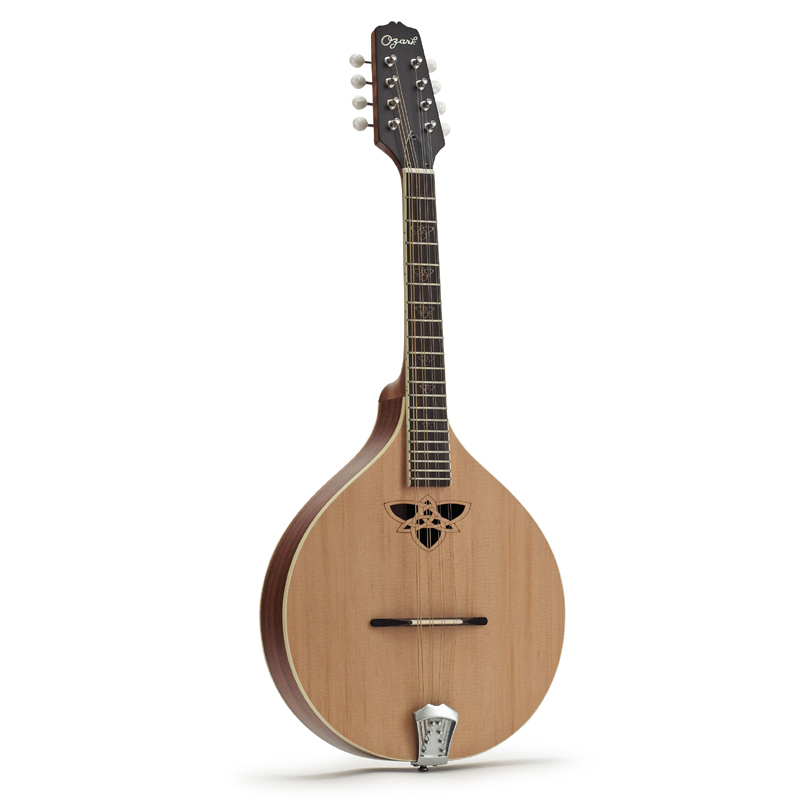 This quality tenor mandola features our distinctive Celtic knot sound hole, a design that is picked up by matching wooden fingerboard inlays. It is made of solid wood construction with a solid spruce top and solid mahogany back and sides and fitted with a diecast tailpiece. The mandolin has a satin finish which enhances the natural beauty of the wood and a mahogany neck with 20 fret fingerboard. Chrome machine heads with perloid buttons make tuning easy.